String Cheese Incident’s approach to a musical career established the Colorado-based group as one of the most popular neo-hippie jam bands from west of the Mississippi. The members didn’t concentrate on selling records. They devoted themselves to live improvisation, cultivating a dedicated fan base that followed them from show to show and a carnival-like atmosphere when they threw their festivals. 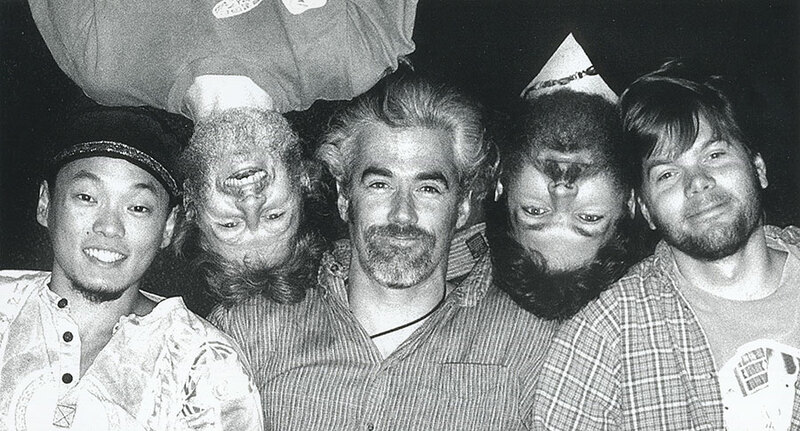 In 1993, String Cheese Incident was playing après-ski bars in Crested Butte and Telluride. Soon after, the five unassuming ski bums—Nershi, Michael Kang on violins, Keith Moseley on bass, Kyle Hollingsworth on keyboards and Michael Travis on drums and percussion—moved to Boulder to pursue seriously a career in music, a self-described “sacrilegious mix” of bluegrass, funk and jazz with breezy Latin and African influences. Stretching the noodly extremes of folk music, the energy and enthusiasm exuded from the stage established String Cheese Incident. Taking a page from the Grateful Dead and Phish, the band carried the positive communal vibe and idealism of the hippie era into the 21st century, building a fan base so loyal and involved that it became somewhat of a phenomenon itself. Whether it was following the group for national and international shows or collecting merchandise or trading live-show tapes, set lists and concert reviews via the Internet, devotees made the group a way of life. Silver-haired Deadheads, well-to-do college kids, suntanned ski bums and middle-aged professionals—all shared in the carefree happiness. String Cheese Incident grossed several million dollars in revenues every year, yet the band had no major-label contract, hardly got any radio airplay and did not have a video on MTV. As the group continued to elevate both the sound and the shows, it attracted the support of a zealous business team. The enterprise included String Cheese Incident’s own management and booking company. It launched its own record label, SCI Fidelity, and an in-house merchandising department. There was also an SCI-run ticketing service and in-house travel agency, set up to help fans arrange transportation plans to “incidents.” The band also employed a tape archivist who maintained recordings from each SCI show. All told, the String Cheese empire had two dozen casually clad staffers—and a few dogs—running around a Boulder office building. “It began as a dream, something we set out to do from the beginning— ‘Let’s tour like maniacs and build a grassroots following, and let’s start our own record company because everyone we talk to has nothing but horror stories,’” Moseley said. To make their tiring tour schedules more pleasant, the band members often played multiple dates in the same city, so they and their dreadlocked, patchouli-soaked disciples could settle into a festive atmosphere. For hot summer gigs, String Cheese Incident played exotic beachside locations in Jamaica, Mexico and Costa Rica. For the band’s annual Winter Carnival shows, venues near the best ski resorts were favored. “We’re doing the same thing onstage, whether we’re playing to 500 or conceivably 50,000—that is, communicating as a musical unit, trying to blend five instruments into a single voice, and have some feedback from the audience . . . get them involved, feel their emotion,” Moseley said. In May 2001, String Cheese Incident’s Outside Inside, a studio release recorded with producer Steve Berlin (Los Lobos), debuted at #147 on the Billboard Top 200 and #5 on the Independent Band Chart. The title track climbed the AAA charts. The group also documented its live concerts, releasing nearly every show through its massive On the Road CD series. The darker Untying the Not arrived in 2003, followed in 2005 with the roots-based One Step Closer. During summer 2007, members announced to their fans that the String Cheese Incident would take a break from touring. They rode out into the sunset with a last blowout at Red Rocks Amphitheater that August. The band reunited in summer 2009 and continued to play shows.